WEST OF DENMAN, sunny south facing junior one bedroom. Bedroom is open to living area but walls can be installed easily. Suite has been tastefully updated with laminate floors, tiling, counter tops, closet doors & queen size murphy bed.Features a generous south facing balcony that can be enclosed if desired or left open to enjoy your BBQ. Also includes secured underground parking and storage & laundry on each floor. 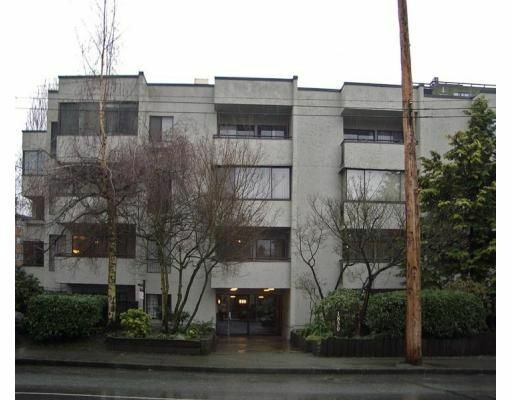 Fantastic location just a few blocks to Stanley Park & one block t o Robson St. & Denman. Great holding property with no rental restrictions & pets allowed. Hot water heat included in maintenance. Building has been re-roofed & re-plumbed. All measurements are approx. OPEN HOUSE Sunday April 22nd 2-4pm.